The series is composed of three town halls around a theme of Learn | Discuss | Explore. 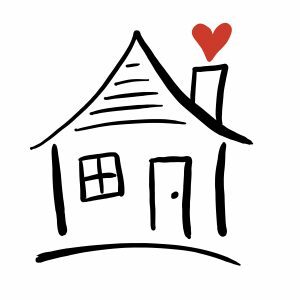 The first Town Hall, Housing 101 will be on April 25, 2019, followed by a Housing Experts Panel, on May 16, 2019 and the third and final meeting of the series, an Interactive Community Workshop on June 20, 2019. All Town Halls begin at 6:00 PM and will take place in Stone Hall at the Vintage House Senior Center located at 264 First Street East in Sonoma. The City strongly encourages participants to attend all three forums, as the concepts, definitions and conversations build on one another. This first Town Hall, Housing 101 will be a lively presentation of trends, facts, current drivers and emerging solutions, followed by informal Question and Answer period. Attendees will learn basic terms, drivers and factors that influence housing in our region to help gain a deeper understanding of housing dynamics in order to create a foundation for the next two Town Halls. Light refreshments and childcare for school-age children will be provided so everyone can participate. The Town Halls will be recorded by Sonoma Valley Community Television and made available on the City’s web site and via Channel 27 for viewing after the events. 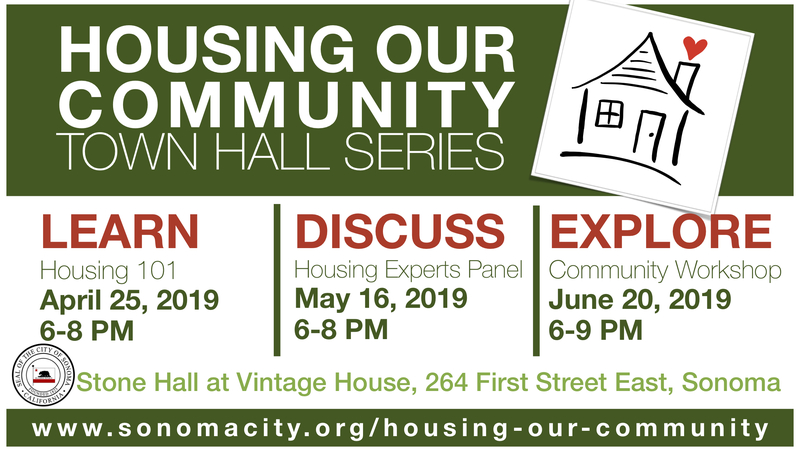 Reservations, though not required, are appreciated and can be made at https://www.eventbrite.com/e/housing-our-community-town-hall-series-learn-tickets-60313788164.